It's amazing how fast weight gain can creep up on you! Why aren't these jeans fitting right? Oh, that's right, I just got them out of the dryer!! THEY must have shrunk!! Riigghhtt. I always had a warped body perception. I was always so hard on myself for being a taller, bigger bone structured girl that the "average" woman was not "supposed" to be. In my 20s , I always had the IDEA of exercise in my head, always loved to walk, but never really pushed myself farther than a few miles, joined a gym but wasn't always consistent and don't even try to get me to eat a salad because that chocolate ice cream was doing just fine!! ;) I figured, I was young , I had a long time ahead of me to worry LATER, I'll work out next week, I'll start that new fad diet , TOMORROW. Let me order that magic pill. This time, it will work! I am a native of New Orleans, Louisiana, born and raised 24 years. We Cajuns LOVE to eat lol! Our culture is engrained with the Deep Southern roots of amazing food wrapped with love, emotions, celebrating, sadness... Whatever the occasion, there is food for miles. My husband and I, with our two boys, moved to Hawesville, Kentucky from New Orleans in 2007. It was very traumatic for me, leaving behind my parents, brothers, and aunt and close friends. My coping mechanism became food. I was always in the kitchen cooking something to help remind me of home through smells and tastes. That is when my weight began to really balloon as I became an emotional eater. We began to try to start a new life here by making some great friends, I began to have a great support system that welcomed us with open arms and showed us such love, yet I was still homesick and the weight packed on quickly. In fact, I did not even realize how much I had truly gained until I saw a very unflattering picture of me on Facebook. I had been in denial for so long! That was it. Something had to change. I could no longer walk up our driveway without huffing and puffing, I was tired, had little energy, depressed and just aggravated all of time. My boys would ask me to play with them and I could not hang long. Where had those care-free 20s gone?!! Hello 30s! For a few years, I tried losing weight on my own. I'd walk with friends but was inconsistent, never learned HOW to properly exercise, never listened to my body and kept eating whatever I wanted. It wasn't a lifestyle. My brother was getting married and asked me to stand on his side, so I decided to join EverBody’s so I would have confidence at the wedding. I liked this gym because it was open 24 hours and I could work out late at night when I was sometimes the only one there. That way, NO ONE would look at me sweating and looking like an idiot! I lost a few pounds, the wedding came and went and I did not stick with my routine. It became pretty easy to not to go the gym that day, that week, that month. And I was right back, if not more, than when I started. I met Valerie Cole a few years ago through a mutual friend and learned she also worked out at EverBody’s and saw how involved she and Brian were at the gym and it really inspired me. 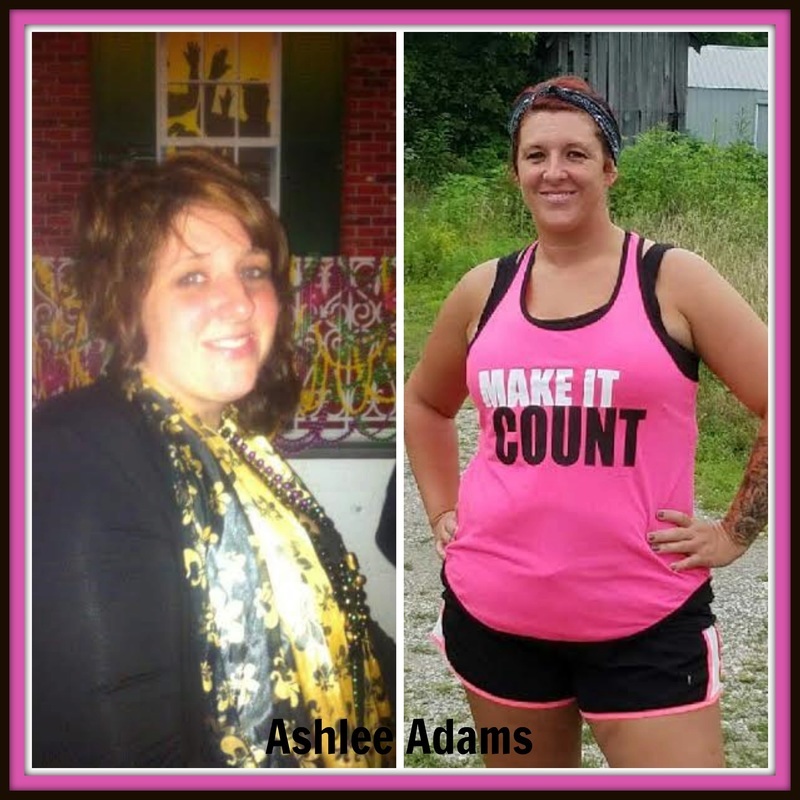 After I read her testimony and saw her amazing before and after pictures, I was in awe! Her personal story and her heart for others, truly helped me to get off of the couch, stop feeling sorry for myself and get moving. You may never know how you inspire someone just by sharing your own struggles! Valerie tried to encourage me to join the Biggest Loser challenge and I just kept brushing it off. I didn't want to have to be held accountable!! However she and her mom, Carol, took matters into their own hands and gifted me a membership for Biggest Loser 13! I was so grateful and decided if they cared that much to do this for me, I owed it to them, to myself and to my team to give it all I had. During the season, I was on Team Lilac with Val and Carol as my coaches. I realllyyyy stepped out of my comfort zone! I began taking different classes in the gym with my friend, Jan, (because there was NO WAY I was going in there alone lol!!) that I was always too scared to try. That first initial walking in the studio was the hardest, but then I got hooked. Zumba, aerobics, aqua classes became my favorite. I tried spinning 2 times, so I still have one more to go before I can legally say I hate it :))). I loved the whole idea of the Biggest Loser, and when the scale started showing my hard work, I KNEW this thing worked. Each week, a little more came off. I learned tricks to stay moving and new exercises I would have never tried on my own. I push myself to walk more and more miles at a time and I actually am learning to jog. ME. Run. Valerie and Carol have no idea how much they changed my life. After years and years of struggling, fitness has now become a lifestyle for me! I'm getting stronger and have more endurance. I always have a mini goal set and I am actually hitting them! If I could offer any advice to someone just starting out in the journey, it would be to GET A SUPPORT SYSTEM. Get an accountability buddy, someone who will say, "Let’s go for a walk” instead of "Let’s do Lunch" or Ok, this week wasn't the greatest but keep trying! You can do it on your own, but it’s so much easier when you have people to cheer you on when you succeed! Show UP. Doesn't matter how far you can go at first. We all have to start somewhere. Get around the block and try to go farther the next time. Then a little more. Set mini goals and feel the reward of reaching them. I have a long way to go, but I am having so much fun doing the work this time around. I am so grateful for the people that have invested time with me walking and pushing me when I want to slack off or quit. I bought shorts for the first time in 5 years that I wear in public and not just long capris!!!! I am giving myself the grace -If I fall behind, fine, ok, but get back up and do not dwell on yesterday. I still love to eat and have found that to be my biggest struggle, of learning how to reprogram my thinking on food. The encouragement of the staff of EverBody’s is amazing and I am grateful for the warm smiles when I walk in, whether I want to be there that day or not.